Permanent body art isn’t just the latest fad. For many folks in Alabama, it’s the best way to make a statement, document a memory, or showcase their unique personality. Getting a tattoo isn’t a decision to take lightly. After all, you’ll have to live with your chosen artwork for the rest of your life (because let’s face it, removal is painful!). 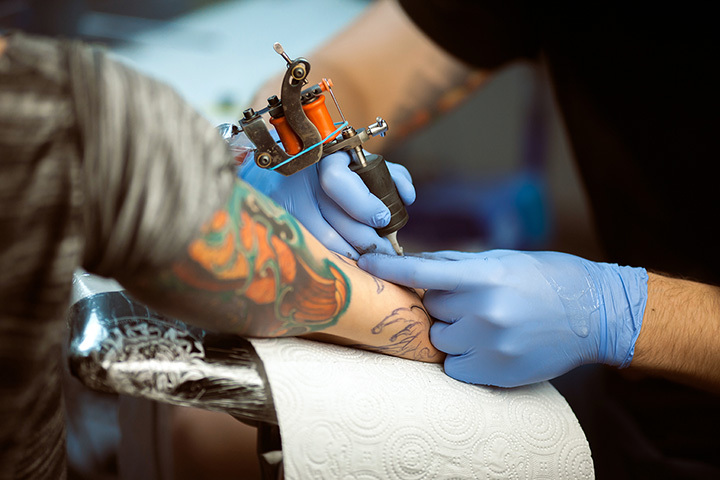 These 10 best tattoo parlors in Alabama can help you get the most for your investment and ensure you have a beautiful tattoo to show for your efforts. Whether you need a quick fix or want to start from scratch, you’re in the right place. They handle tattoos of all types and sizes, including custom art that you’ll be proud to show off. They’re also a one-stop piercing parlor. First timers and seasoned tattoo addicts alike rave about their experiences at this top-notch ink shop. Known for unique, vivid artwork that can help you make a statement, their professional artists always go the extra mile to be original and creative. Service is quick and efficient, and prices are even better. Tattoos look so real and crisp you’d think they were alive! These ink artists know how to deliver amazing results, and you’ll appreciate the fine details they put into every tattoo to make it pop. This high level of artistry you’ll find here is unmatched in the area—and priced affordably. Multiple artists work in the same shop to ensure you always have someone available to serve you. Their artists are constantly attending tattoo classes and workshops to keep up with the latest trends and techniques. The result, of course, is that you can rely on true professionals to deliver a masterpiece worth having for life. Bham’s go-to tattoo shop and piercing parlor is an iconic locale in the community. Folks have been coming here for years, thanks to their expert artists who take pride in their work. Even if you’re not quite ready to go under the needle, their portfolio collections alone are worth the visit. Their team is carefully sourced to ensure you get the highest quality artwork possible. In total, you’ve got seven artists to choose from, whether you want a basic tattoo or something extraordinary. Their fun, funky studio can put even the most jittery person at ease—it’s something of a work of art in itself. Their fans are adamant about never going elsewhere for their tattoos and piercings. They’re prompt, personable, and reasonably priced—a combination that not all tattoo parlors can boast. You can expect superior custom design work worthy of a place on your body. The folks here are focused on their process, but they also ensure you know what to do after you leave the chair. They go over care instruction with you in detail and can help you keep your tattoo looking great for years to come. Customers love coming here because of their prices and professionalism. With a team of award-winning tattoo artists, you just can’t go wrong. The final products here are nothing short of perfection, and you won’t leave your chair until you’re satisfied. The type of service they deliver is what other parlors should strive for. The tattoo artists here are patient, but some fans swear they can also read minds—they just “get it.” The total experience from the time you’re in the seat until you’re walking out with fresh ink is relaxing, enjoyable, and personable. If you can describe it, they can bring your idea to life in the best possible way.